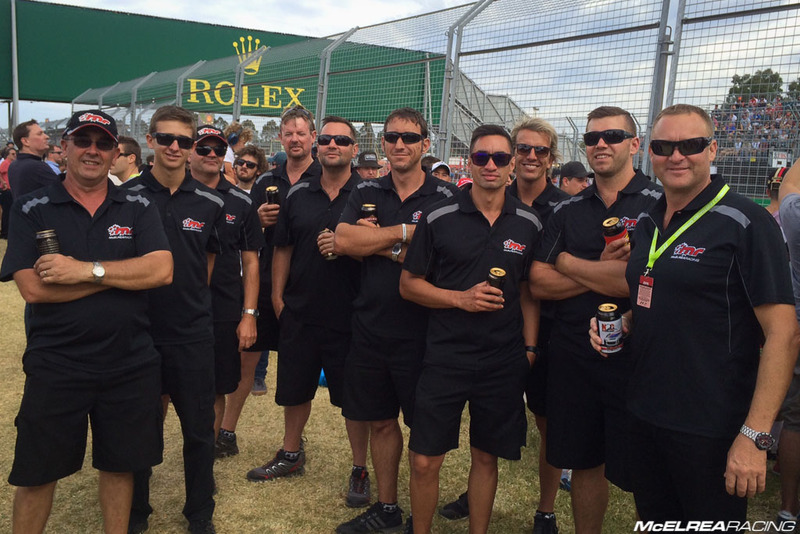 After a tough start to the Championship for both Matt Campbell and Shane Smollen at Clipsal, the MR team were looking forward to a change in fortune at the Australian F1 Grand Prix at Albert Park. 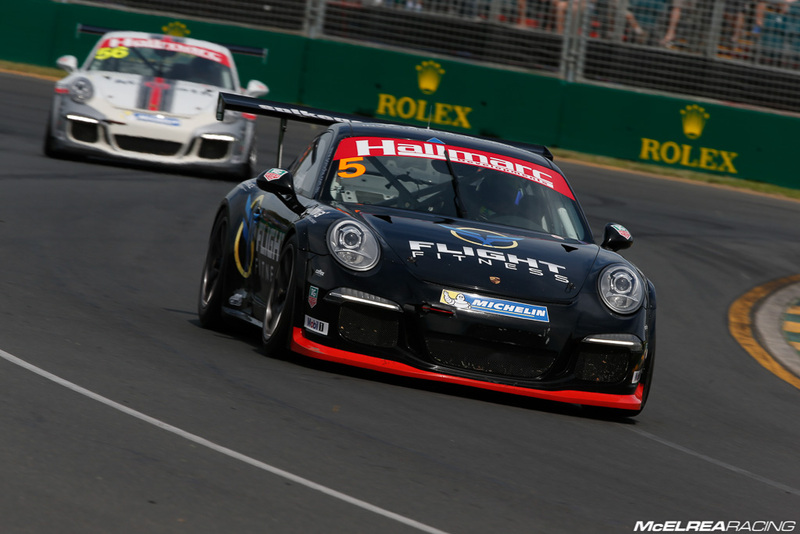 Matt’s amazing performance qualifying on the front row and Shane’s first podium finish with MR were the weekend’s highlights with Spike Goddard also making significant progress as he familiarized himself with the Porsche Cup Car. Matt did a great job to qualify on the front row at his first visit to the Albert Park Formula 1 circuit. 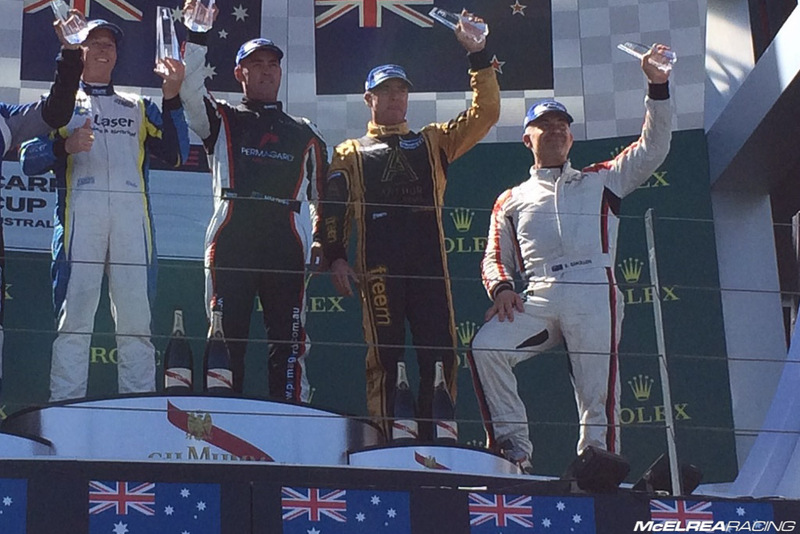 He had a great run in race 1 and raced wheel to wheel with experienced drivers Richards, McConville and Baird. In races 2 and 3, he was bundled back in the early laps by his far more experienced competitors, but did a great job to settle back in to a rhythm to catch and pass former race winner David Russell in race 2 and Richard Muscat in race 3. Shane was very unlucky to crack a radiator on his first flying lap of qualifying forcing a rear of grid start for race 1. Over the opening laps he charged through to 3rd in Elite but got two wheels on the dirty part of the road taking Grove for second place and lost the rear. Race 2 was eventful charging up to 2nd before a moment cost Shane a couple of spots. In race 3 Shane put together his best result of the weekend to catch and pass Bates on his way to his first podium finish of the season. Spike qualified 14th in Pro class and drove a smart race 1 to stay out of trouble and finish 11th. 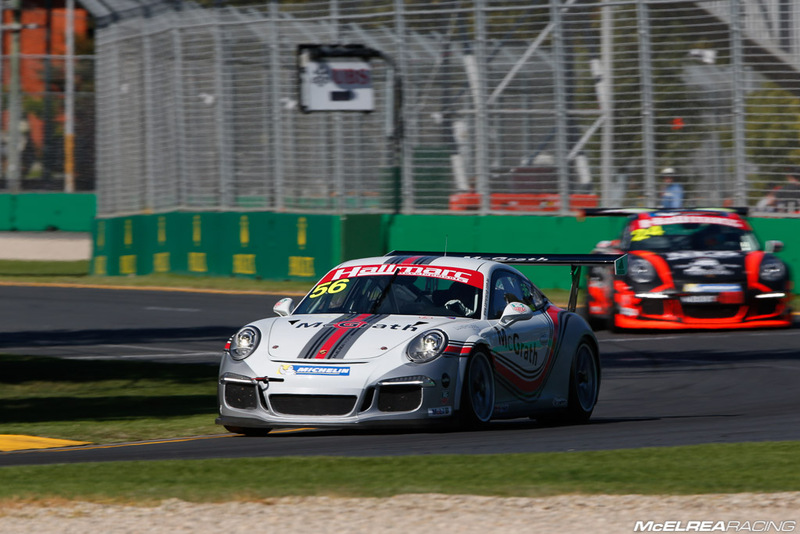 Race 2 was eventful with a couple of minor excursions pushing his limits and getting used to the handling and baking characteristics of the Porsche Cup Car. He finished the weekend with his most forceful and measured drive to finish 11th ahead of his former single-seater sparring partner Padayashee. Both Matt and Shane got their championship campaigns pointing in the right direction, with Shane now sitting 4th in Tag Heuer Challenge and Matt 8th in Pro class. It was great to work with Spike and his coach Mike Reed and we wish them good luck for Spike’s European Supercup campaign. 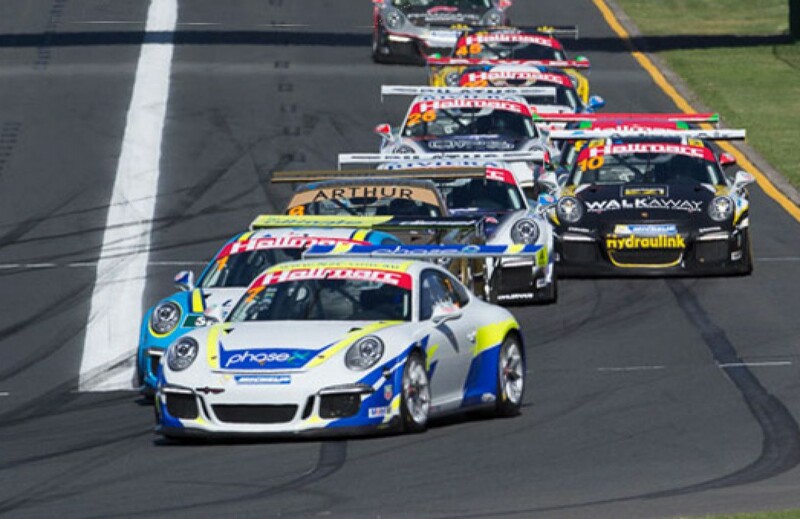 The next Porsche Carrera Cup round will be at Phillip Island in late May. In the meantime, the MR crew will be busy getting ready for the first round of the GT3 Cup Challenge Championship at Sandown in two weeks. 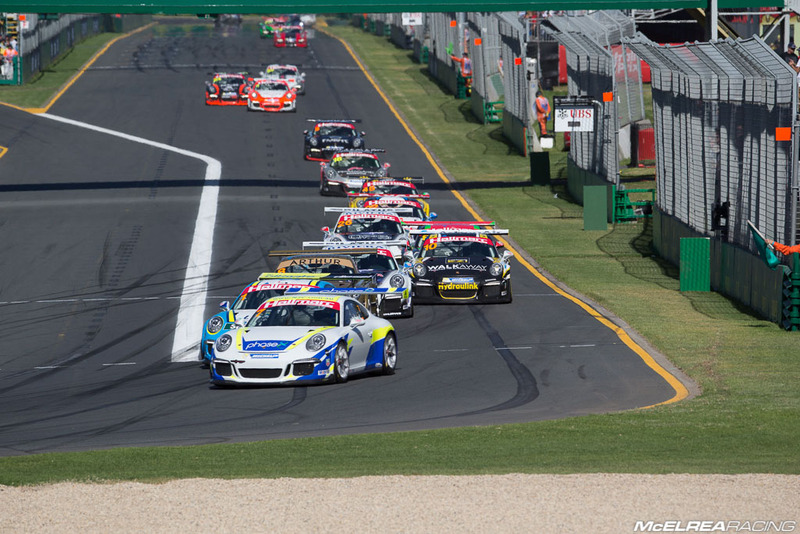 Both Luffy and Matt Campbell will be on hand as driver coach for our GT3 Cup Challenge Drivers James Abela, Jim Campbell, Simon Ellingham, Tim Miles and Jaxon Evans.